IGF-1 isn’t a dangerous steroid. IGF1 is actually a natural molecular structure similar to insulin. IGF-1 is the abbreviation for Insulin-Like Growth Factor 1. Known in scientific community as a polypeptide protein hormone, IGF-1 or Insulin-like Growth Factor 1 plays a vital role in childhood growth and stimulates anabolic effects (muscle building) in adults. There are 70 inter-connected amino acids that make up a single chain of IGF-1. IGF-1 is a hormone that is produced when the liver is stimulated by human growth hormone. When levels of HGH rise in the blood, the liver responds by producing more IGF-1. These higher “bursts” spur growth and regeneration by the body’s cells, especially in muscle cells. 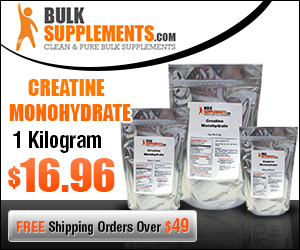 Increases in IGF-1 levels have shown positive effects on increases in muscle strength, size, and efficiency. When you do not have enough IGF-1 in your body, whether caused by disease, malnutrition or a hormone imbalance, your growth can be stunted. Several scientific tests have been conducted to determine the benefits of IGF-1 and thus have prompted companies to seek approval from the Federal Drug and Administration for substances that can increase the body’s IGF-1 levels. Taken responsibly over time, products that increase IGF-1 can help improve muscularity and healing and recovery times. 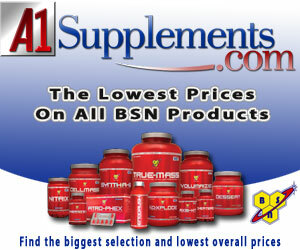 IGF-1 can also stimulate a decrease in body fat, an increase in lean muscle mass, improved skin tone and restful sleep. IGF-1 has also been documented to increase the rate and extent of muscle repair after injuries or strains. Not only do muscles recover more quickly, they also tend to return stronger and healthier than ever when levels of IGF-1 in the bloodstream are at their highest. IGF-1 also has a positive affect in the aging process. It can prevent age-related degeneration of muscles, skin tissue and bones. Because IGF-1 levels tend to level off and fall rapidly when the liver is not stimulated by HGH production, these benefits are greatest when consistently high HGH levels are maintained. Combined with other supplements and monitored responsibly, IGF-1 can be beneficial for those individuals who suffer from stunted growth or growth hormone deficiencies as well as those individuals who strive to be in the best physical shape possible. Athletes, bodybuilders and physical competitors around the world are learning all about the benefits of IGF-1 and implementing the growth hormone into their daily regimented workouts. Whether you are an athlete yourself, or you prefer to workout more than a few times a week, IGF-1 can be beneficial for you. Even if you aren’t an athlete at all, but are looking to get as healthy and fit as possible for your own reasons, IGF-1 can be beneficial for you. Novice IGF user will be able to use lower dosage than a more advanced one. For the first IGF-1 cycle, you have to remember that you don’t need to use a lot to get great results. This is not like testosterone where you need big doses for big muscles. For your first or second cycle with IGF-1, you will use 50mcg per day, 3 days per week, and split into twice daily injections. Normally you have 1000 mcg (1 ml) vial. Since we want to use 25mcg for our injection, you need to use an insulin syringe (29g 50iu for easier measuring) and withdraw to the 2.5 tick mark on the syringe. Yes, that is a very, very small amount to withdraw which is why I recommend the 1/2cc or even 30iu syringes. 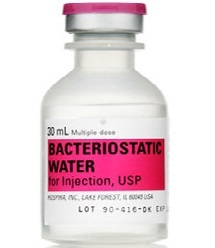 Now using acetic acid can be very painful, and it is almost impossible to inject such a small amount so you will now use bacteriostatic water or NaCL water to add more volume to the syringe. This will also help reduce the pain of the acid injection. Try to use enough to fill the syringe, so after you withdraw your small 2.5iu on the slin pin, just finish filling the syringe with the water. Selank is used to improve one’s ability to focus and concentrate, reduce mental fatigue, increase mental sharpness and increase memory and learning capacity. The first noticeable effect is usually stabilization of mood and general feeling of well-being. Selank produces systemic effect regardless of the injection spot. It can be injected subcutaneously (under the skin) or intramuscularly (into the muscle). People mostly inject it into the shoulder, thigh, buttocks or under the skin in the stomach fat area.